George Zeitler, grandson of Anna Zeitler, holds the certificate naming her a Righteous Among the Nations for saving two Jewish brothers during the Holocaust. From left to right: Abe Slaim, his cousin Bella Szlamkowicz Weberman, whose father was also hidden in the barn, Petra Zeitler, George Zeitler, John Slaim and his cousin Issac Szlamkowicz. Local family goes to Poland For Yad Vashem presentation. This summer, Yad Vashem, Israel’s Holocaust memorial center in Jerusalem, conducted a special ceremony in Munich to posthumously honor the life of a German woman who hid two Jewish brothers in her barn as a Righteous Among the Nations. 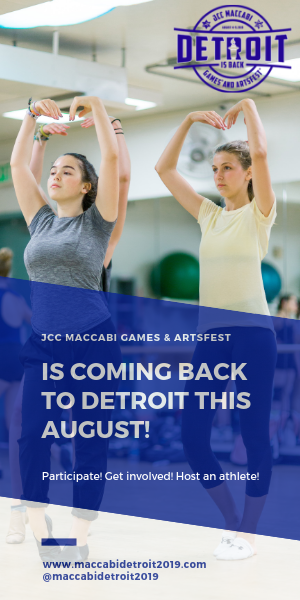 Four fateful weeks in 1945 forever linked the fate of two families — the Slaims of Metro Detroit and the Zeitlers of Germany — for generations to come. Escaping from a death march, Josef and his brother Shlomo Szlamkiewicz (their last name was changed to Slaim after they immigrated to the United States) were hidden in a barn in the German countryside by Anna Zeitler — even though three of her four sons were serving in the German army and knowledge of the hidden Jews would endanger her life as well as the lives of her husband and youngest son. Because of her heroism, the brothers would survive, emigrate to America and raise families of their own. In late June, Josef’s son John Slaim and his wife, Cheryl, of Farmington Hills, and more than a dozen family members ranging in age from 9 to 73, traveled to Munich to attend the ceremony. Yad Vashem chose the city because it was the closest to the hometown of Zeitler’s youngest son, who is still alive but too frail to travel to Israel. 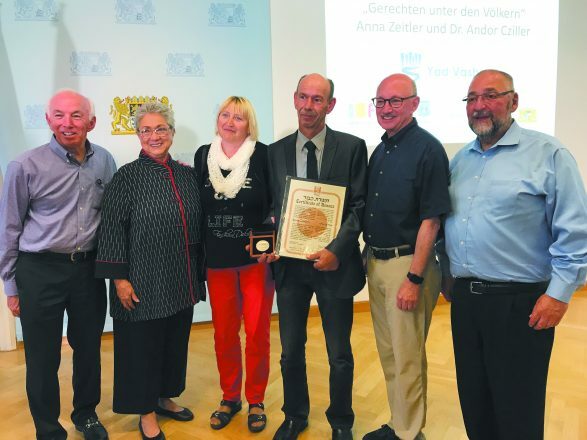 Along with the dignitaries in attendance, Zeitler’s grandson, his family and dozens of German schoolchildren came to see the presentation of the award. Slaim said he believed his father, Josef, survived because of his strength and training as a soldier in the Polish army. 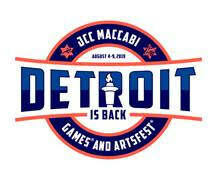 Their story was fully documented in a story that appeared in the Jan. 24 issue of the Detroit Jewish News. Over the decades, the Slaim and Zeitler families reconnected and the Slaims visited the family in 1995 and in 2012, when they were guests at the wedding of Zeitler’s great-granddaughter. The property is still owned by the Zeitlers, and the barn where Slaim’s father and uncle hid remains untouched by time. This trip was a chance to give the younger generations tangible experiences of what their family endured to now live a free life in the United States, Slaim said. In Krakow, the Slaims went on a fact-finding mission to uncover more of their family history. They visited a Jewish cemetery where extended family members were buried and found birth records of Slaim’s father and uncle and other family members, who were from a small village just outside of Krakow.